We have followed happenings in Opelika, Alabama, for three years as the community investigated the benefits of a fiber network. They contended with a Charter misinformation campaign and voted yes on a referendum. 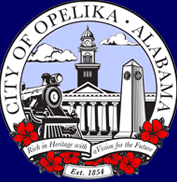 Construction began in 2012, Opelika Power Services (OPS) tested the network, and recently the Opelika City Council approved proposed rates. OANow.com now reports that the FTTH network and smart grid project is ever-so-close to offering triple play services to the city's 28,000 residents and local businesses. Data offerings for customized plans range from 10/5 Mbps for $34.95 to 1 Gbps symmetrical for $499.95. While this project is certainly a landmark in Alabama, it is curious to see a community owned fiber network offering asymetrical services on the standard tier - with 10 Mbps download and 5 Mbps uploads. Though many community owned networks offer asymetrical packages, the vast majority were built more than 5 years ago. Most modern fiber networks have launched with the same upstream capacity as downstream. Additionally, we have been accustomed to seeing community fiber networks launching with a faster standard tier in order to clearly differentiate themselves from competitors using older technologies like cable and DSL. Cable, and DSL to a lesser extent, can compete with 10/5 packages. But we don't know the situation on the ground - it is not hard to believe that Charter's services are so bad that a reliable and affordable 10/5 will be warmly received by many households. We are curious to see how the marketing war plays out in Opelika and wish them the best as they roll out the network. For more about Opelika's project, listen to Christopher interview Mayor Gary Fuller and Jennifer McCain from the Motive Group in Episode #40 of the Broadband Bits podcast. In addition to the story of the network, the two discuss the political challenges that inevitably accompany any large publicly funded project.